Fast food giant Domino’s is to trial pizza delivery robots in New Zealand, it said Friday, describing the hi-tech, driverless units as a world first. In a move enthusiastically backed by the New Zealand government, Domino’s said it was working with authorities on plans to roll out its DRU (Domino’s Robotic Unit). The four-wheeler, developed in Australia, is just under a metre (three foot) high and contains a heated compartment that can hold up to 10 pizzas. 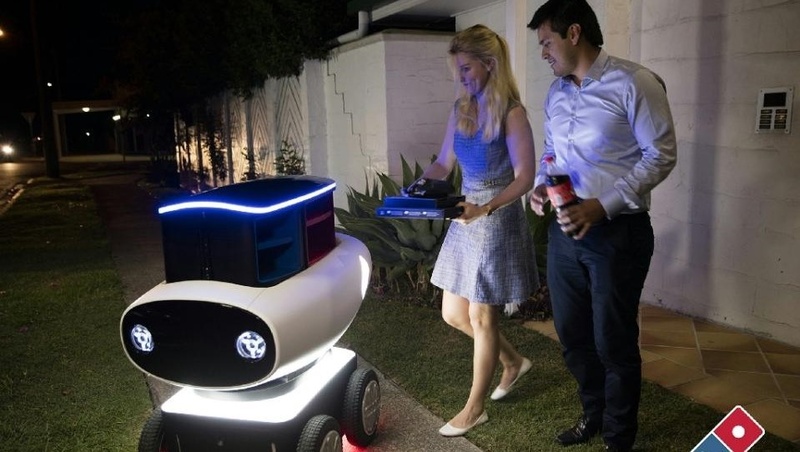 It is battery powered and uses on-board sensors to avoid obstacles, with Domino’s saying it can deliver pizzas within a 20 kilometre (12.5 miles) radius of a store before returning to recharge. Customers are given a code when they order, which they enter onto a keypad to unlock the compartment containing their pizza. “DRU is cheeky and endearing and we are confident that one day he will become an integral part of the Domino’s family,” the chain’s New Zealand general manager Scott Bush said. While a date for the trial is yet to be finalised, Transport Minister Simon Bridges said the government working with Domino’s on the project and was keen for it to proceed. “This is an exciting opportunity for New Zealand… over the last 12 months I’ve been actively and aggressively promoting New Zealand as a test bed for new transport technology trials,” he said. New Zealand is still working on regulations relating to driverless vehicles such as the DRU, which is designed to operate on both roads and footpaths.